Singer John Legend has gathered a diverse group of women for his latest music video called, 'You & I (Nobody in the World),' which is off his 'Love in the Future' album. Legend says he created the track to help motivate women of all sizes, ages and nationalities around the world to embrace their inner and outer beauty. The new single was also inspired by his Operation Girl Charity Challenge, which helps to raise funds for underprivileged females. Watch the ladies looking at their reflection through a mirror as they cry, then laugh -- it's a pretty simple video. 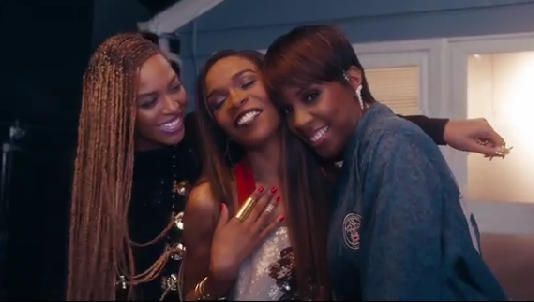 The video also features cameo appearances from Legend's wife, Chrissy Teigen and Emmy nominated actress, Laverne Cox. Robin Thicke has released the visuals for his Paula Patton-inspired track, 'Get Her Back," and reveals text messages from his conversation with Patton throughout the duration of the black & white video. 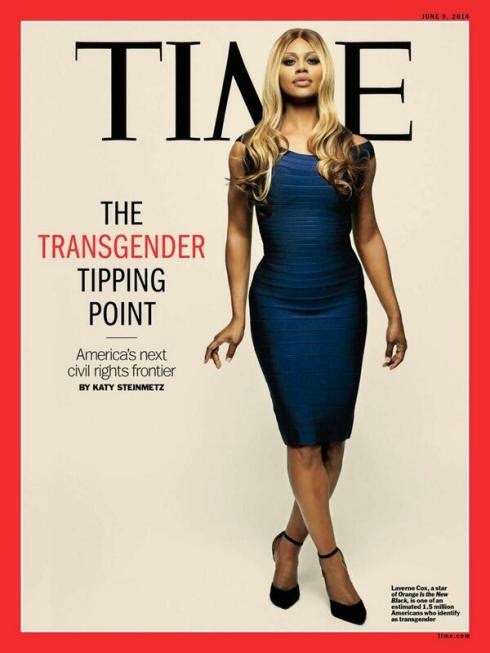 Laverne Cox Talks Dating On Chelsea Lately; "I Have A Thing For Hebrew Men"
TIME Magazine's first Transgender cover girl and 'Orange Is The New Black' star Laverne Cox recently sat down with Chelsea Handler to talk about how the show has changed her life, her childhood, and how living in New York has opened her eyes to the handsome Jewish men in her community. 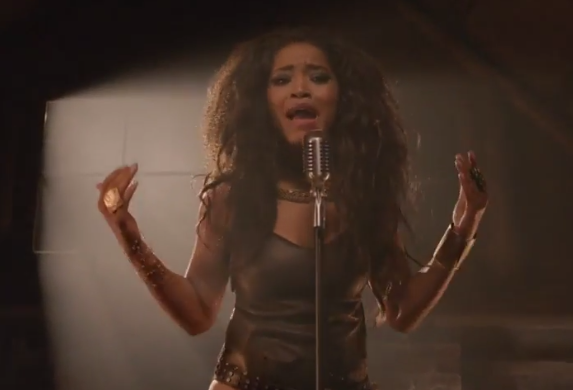 Actress and singer Keke Palmer is back with a new single called, Animal, and has released the track's official music video, which was directed by Brett Simmons. 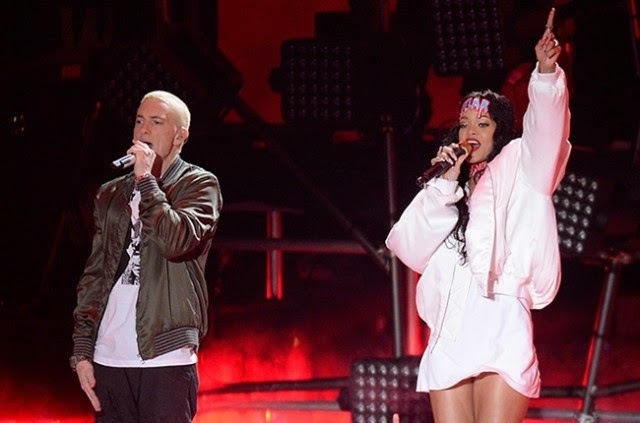 Last night, Rihanna and Eminem performed their smash hit song, Monster, at the 2014 MTV Movie Awards held at the Nokia Theatre in Los Angeles. This morning, Aussi rapper Iggy Azalea dropped by 105.1s "The Breakfast Club" to chat about her relationship with Los Angeles Lakers Nick Young (after first meeting each other on Twitter) and why she will never publicly admit if she loves him. 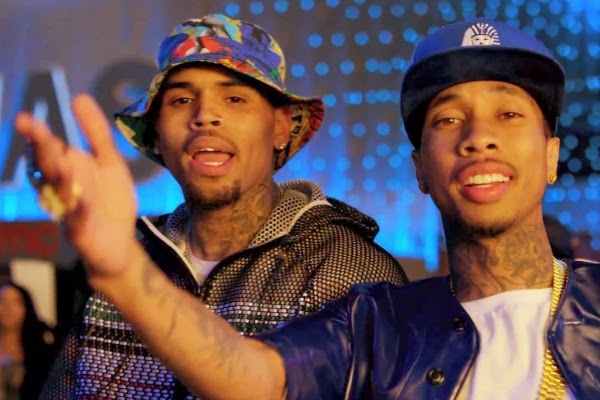 Despite being behind bars awaiting his release, Chris Brown has managed to debut the visuals for his latest "Loyal" single, featuring Lil' Wayne and rapper Tyga. 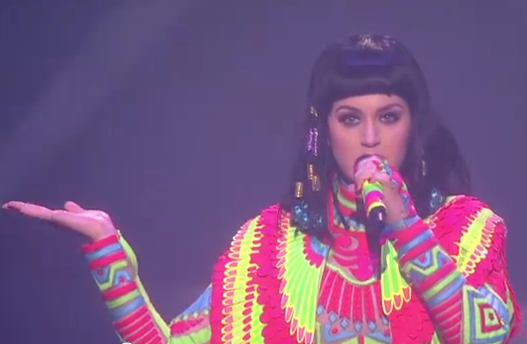 Katy Perry, who continues to rule the Billboard Hot 100, has released the visuals for her hit "Dark Horse" single featuring Juicy J. Still flying high off the release of her "My Baby" single, Disney's rising star Zendaya has teamed up with West Coast rappers, Ty Dolla $ign, Bobby Brackins and Iamsu for the track's official remix. 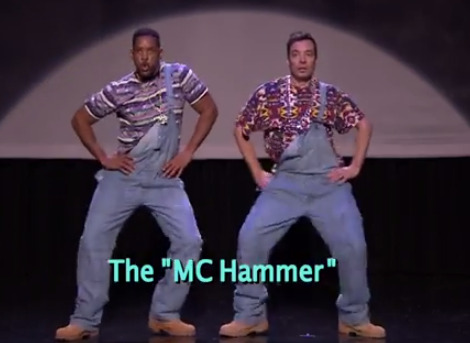 Actor and singer Will Smith recently appeared on Jimmy Fallon's "The Tonight Show" to perform a collaborative skit with the late night talk show host, which included dances throughout the history of "hip-hop."